Affirmations, Creative Visualization, and Meditation? Want to Take Some Classes? You can book me to teach several classes about affirmations, visualization, meditation, other metaphysics topics, and a bunch of Complementary and Alternative Medicine (CAM) techniques. I also teach about, small garden design and several other unrelated professional, personal, and spiritual growth topics. Watch for blogs about these, or contact me, and discover more topics in 1/2 day workshops, 2-hour, or 1-hour presentations. 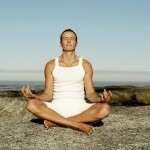 I create these meditation classes for beginners or for people who already know the basics. They are composed of lengthy meditations, groups of shorter meditations, or whatever suits the purpose of your gathering. I can present the session in person or as a teleconference. The meditations may include affirmations, self-hypnosis suggestions that you like, and, typically, they utilize creative visualization images. Talk with me about my version of “The Middle Pillar Meditation,” which is enormously healing. I used it successfully after having “flunked a mammogram” (to quote myself). It started as a scary experience! However, all turned out well when the doctor gave me a second round of tests three days later! In the Introduction to Affirmations, Creative Visualization, and Meditation class, we’ll discuss subtle differences and similarities. I’ll provide an overview of several kinds of meditation and creative visualization techniques, focusing on positive thinking and attitudes. We’ll discuss the correct ways in which to use language to accomplish the desired results when creating affirmations. Depending on the length of the sessions you choose, we’ll approach it as a seminar or make time for participants to practice. We’ll talk about myths, brain wave frequencies, motivation, obstacles, postures, breathing, and more. I’ll provide examples to demonstrate and handouts to refresh your memory when you try it at home. In the meantime, to help you decide if you want to schedule a class with me, here are the definitions from Wikipedia to describe the three areas we will explore. Affirmation is a declaration that something is true. Specifically, it may refer to:….Affirmations (New Age), the practice of positive thinking in New Age terminology http://http://en.wikipedia.org/wiki/Affirmations. Meditation is a practice in which an individual trains the mind or induces a mode of consciousness, either to realize some benefit or as an end in itself. http://en.wikipedia.org/wiki/Meditation. Here is a testimonial for this class from Celestino, a life-long learner, on October 19, 2012. Later, I can post some more, but I have other priorities right now. The only complaint I’ve ever gotten about this class (and about my other metaphysics and holistic healing classes) is that the students wanted the class to be longer! Students of all ages even said this when the class was four hours long! So, you can see we had fun and learned a lot. Here is the highest compliment I got in all my recent classes. Not a single person even looked at his/her cell phone during the entire class! Can you believe it? Shocking! YEA! Contact me. You’ll love it, too!